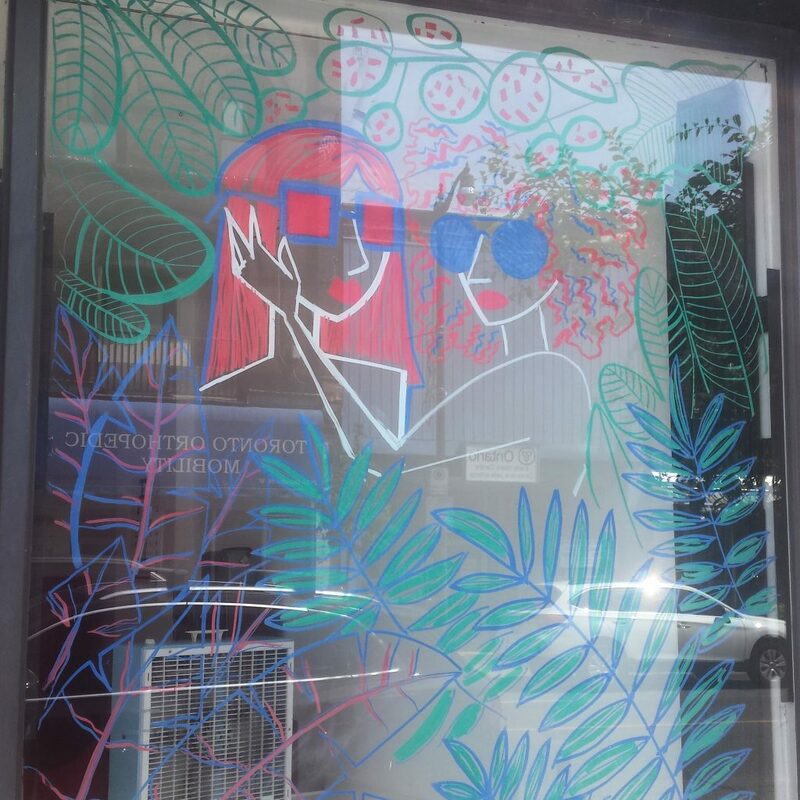 It’s such a joy for us here at Opticianado to witness and be a part of the growth that’s happening in the Junction. Summer Solstice, which celebrates the first and longest days of summer, is also a perfect occasion to explore and experience all that the neighborhood has to offer with food, shopping, art, and more. 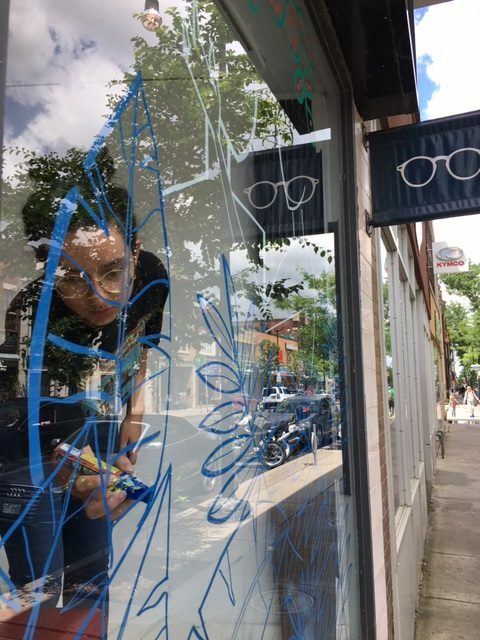 We take a creative approach to eyewear, so I jumped at the opportunity to flex my artistic muscles and love for drawing with our Solstice themed window. 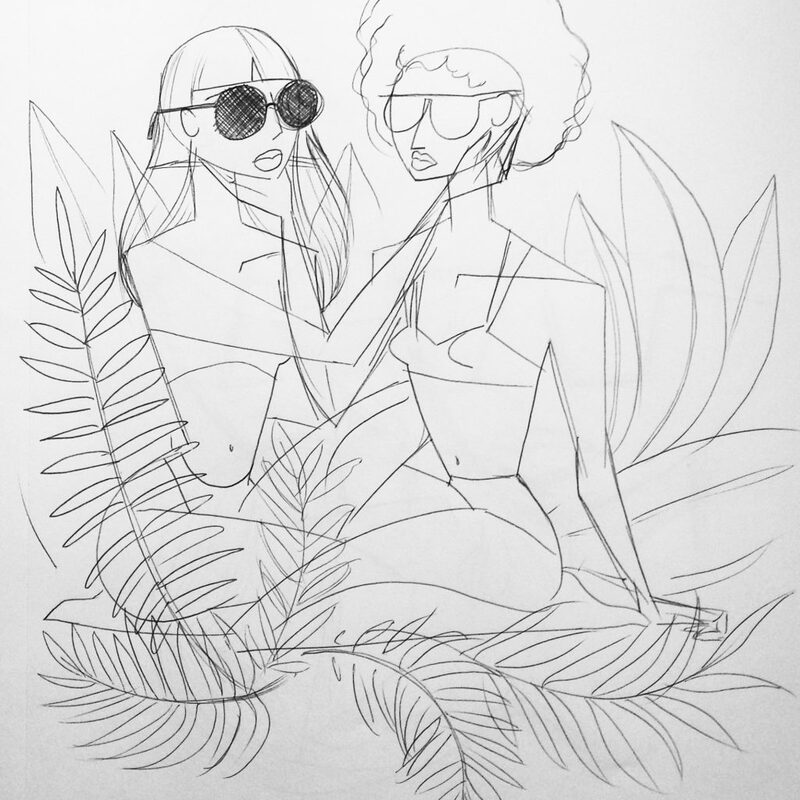 I wanted to keep a very clean and minimalistic style while using the full window space, adding shapes and details for people to get lost in. I started with a sketch (or two) to use as a rough guideline and experiment with what elements I wanted to include in the finished piece. Then got to work on the real thing! Having had our fair share of rain this summer, it was important to create something beautiful that would also withstand the elements. I therefore decided to use my chalk markers on the inside of the window. Drawing backwards was an interesting challenge, but I got all the smiles and thumbs-up from passers-by and I have to say, I’m pleased with the end result! We’ll have the window up for this weekend’s festivities and the next few weeks to come, so if you’re planning a visit to our shop be sure to pause outside for a closer look at our Solstice creation.